Ilean R, Lanzer, 88, of Antwerp, passed away Sunday, January 13, 2019 at Defiance Inpatient Hospice Center. Ilean was born in New Haven, Indiana on March 11, 1930, a daughter of the late Lula C. (Robinson) and Lemuel V. Fulmer. 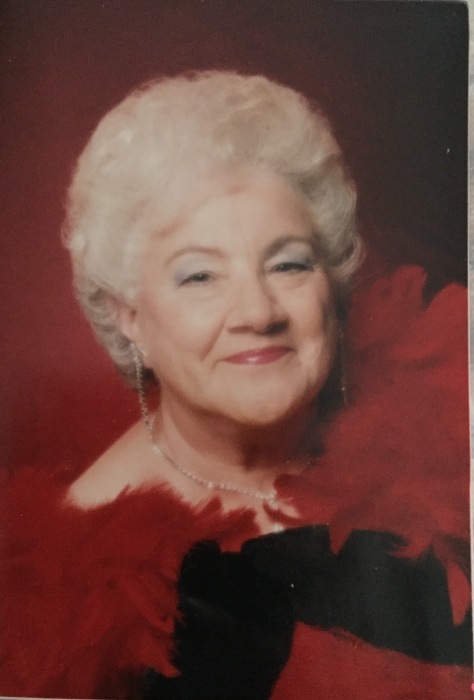 She worked at Rae Magnet Wire, worked in nursing at Paulding County Hospital, Fountain Manor & in home health care and was a life member of the Antwerp VFW Auxiliary. She will be sadly missed by her children, Sandra (the Late Kenneth) Vogelsong, Dennis Banks & Beth Ann Banks; sisters, Shirley Myers & Sharon Martinez; 11 grandchildren & 24 great grandchildren. She was also preceded in death by her husbands, Sammy Banks & Delmar Lanzer; son, Robert Banks, grandson, Kim Vogelsong & siblings, Kenny Fulmer & Mary Wobler. Her funeral service is 10:30 AM, with viewing at 9:30 am, on Friday, January 18th at Dooley Funeral Home, Antwerp. She will be laid to rest at Maumee Cemetery. Memorials are to Antwerp VFW Post 5087.